...this photo of Chloe in her bedroom. Taken by Colin O'Connor for The National Post, it's part of an article I was featured in along with a few other bloggers. You can read it online here or check it out in the print edition in The National Post Homes Section tomorrow, Sat. Nov.3rd! ...Chris' finished kitchen. She has taken this builder's basic and truly transformed it into Martha's dream kitchen. This is a kitchen hack in the very best sense - adding a custom look with trim and crown molding, building her own niches for the fridge and wine bottles, updating cabinetry with beadboard, decorative brackets, and custom toe kicks. If you are wondering how to update your own plain jane kitchen without breaking the bank, head on over to Just Beachy for lots of great ideas. ...Christina's posts on decorative tiles. I am seeing a lot of this look lately and I am loving it. 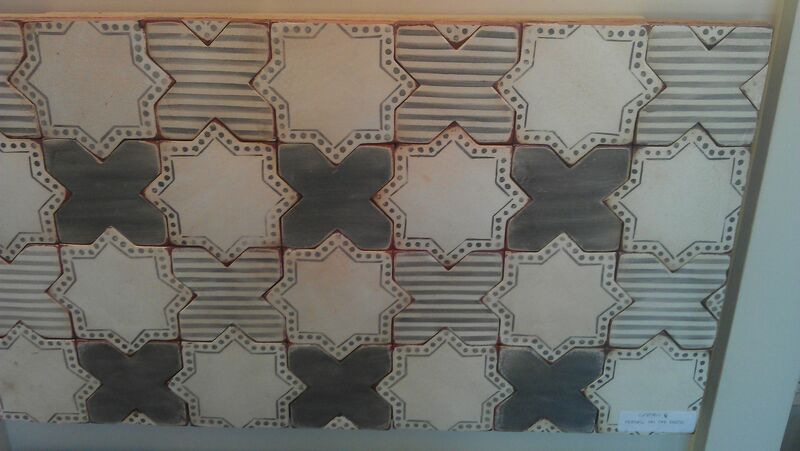 I had spied some similar tiles years ago at St. Jacobs. I wonder if they're still there? ...this oversized painted gingham wall treatment that Stephanie is installing in a coffee shop bathroom. Her whole concept for the shop is super cute so I can't wait to see it all done. Wouldn't this be great for a playroom? ...the new West Elm Market. This new shop-within-a-shop concept will be opening up in Toronto in two weeks. 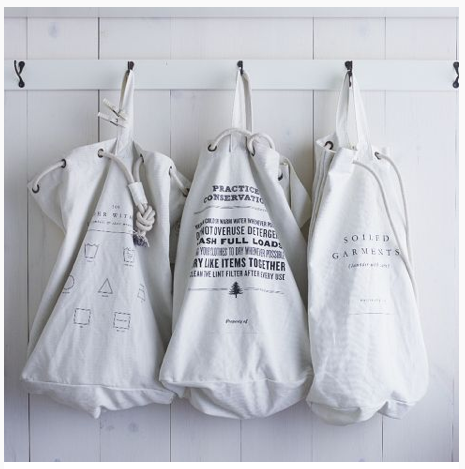 I'm eager to check it all out - I need those laundry bags! 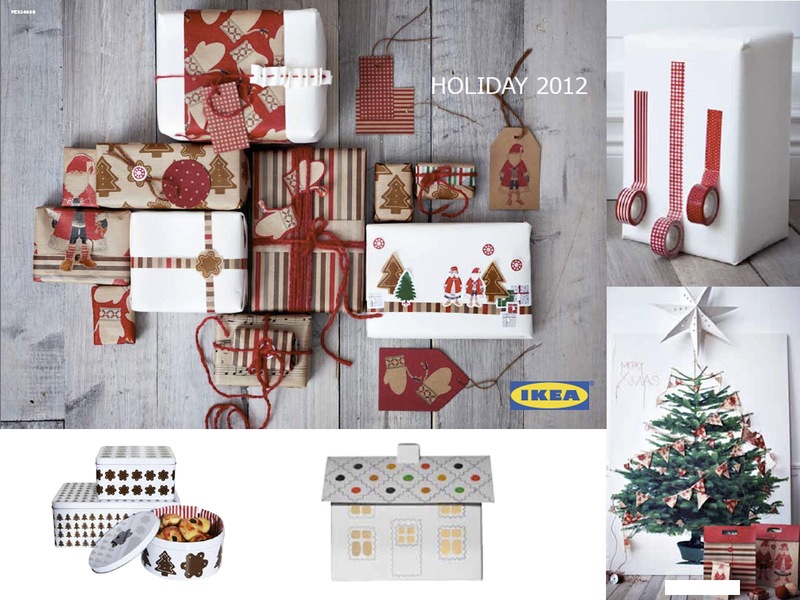 ...the holiday collection at Ikea. I'll admit I'm a bit of a giftwrap snob and only buy holiday wrapping paper at Ikea (you really can't beat the price and their modern designs). They have some wonderful things in store for this season. Some of my favourites: washi-esque decorative tape, holiday tins for baked gifts, a giant fabric tree, and gingerbread house lights. No wonder I can never leave that store empty handed! BTW, I sooo want Chris' jadeite cakeplate on that shelf! yeah, that IKEA stuff does look cool... However, You might want to check out MICHAEL'S for Christmas Tins. They had some really nice ones - I bought a bunch last week! 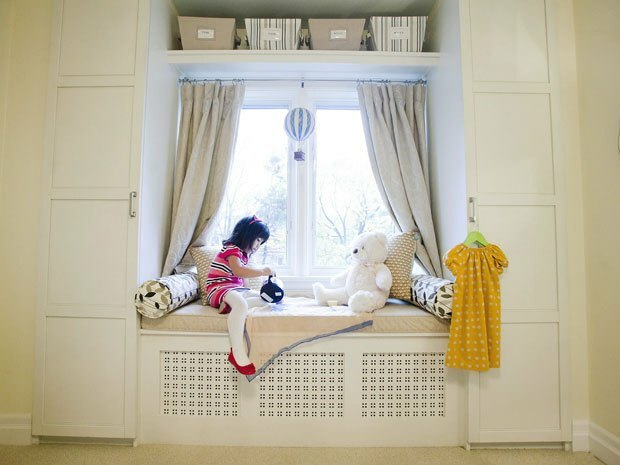 The photo of Chloe on the window seat in her room is so adorable! It's definitely one for the photo album.